Instead of writing a review of the Wrestling Road Diaries, Colt Cabana’s two volume documentary of the independent wrestling scene, here is my interpretation: wrestling is a moveable feast. Wrestling, like most sports, may be a “young” person’s game, but if you are fortunate enough to have the talent and courage to have taken the journey, it will stay with you all your life. These documentaries perfectly capture this sentiment while also portraying the sacrifices and hardships of choosing this lifestyle. Road Diary 1, introduces us to Cabana and his two close friends, Brian Danielson and Saul Rinauro, as they travel across the country with the wrestling promotion Cabana helped put on the map, Ring of Honor. The three men couldn’t be anymore different in their personalities and career trajectories but they share a common value system, healthy lifestyle and work ethic. Rinauro is unabashedly honest about his role as a “jobber to the stars” being used to help put other wrestlers over, while Danielson seems shy and somewhat lost with his rapid ascension to fame. Cabana, having just been released by the WWE, seems to walk the middle path between the two friends feeling stifled and disappointed but also free and full of wonder with his chosen life. The interaction between the three friends is really touching, as they support each others dreams and keep each other sane through long late night drives, exhaustion, injuries, illness, work out routines and detachment from family and significant others. Backstage with the wrestlers after a show is particularly fascinating to see as each “ooh,””aww, clap and chant from the fans are analyzed and obsessed over. Road Diary 2, is a stranger journey deeper into the heart of the independent wrestling scene and introduces us to two more of Cabana’s pals, Cliff Compton and the Big LG, both of WWE fame. These three men seemingly have more in common than the 3 amigos from installment one, having all been through the meat processor of the WWE. Cabana again steals the show from his friends with his honest portrayal of both the highs and lows of being an independent wrestler. He finds the joy in all of the little things including making die hard wrestling fans in small towns smile, exchanging Rick Flair chop’s with an elderly waitress or letting the young son of a promoter carry the championship belts. Despite this, Cabana’s sadness is visceral at times coming across as a kind of grieving. He doesn’t shy away from letting us see this vulnerability and it’s difficult to watch while at turns cathartic and validating. Cabana, like many of us, is struggling with the idea that he “just wasn’t good enough” when in reality nothing is that simple. His release from the WWE farm was unfair and short-sighted, as is overly evident in watching both his character and wrestling ability across these two documentaries. However, accepting that lack of control is hard. Harder still is finding a way to not let this loss tarnish his vision of the overall industry. In this struggle, Cabana walks that middle ground, at times wobbling, but still holding wrestling close to his heart; and that is truly inspiring. Hemingway once uttered, “If you are lucky enough to have lived in Paris as a young man, then wherever you go for the rest of your life, it stays with you, for Paris is a moveable feast.” This phrase applies infinitely well to Colt Cabana’s two volume documentary; his love poem to the good, the bad and the ugly of the wrestling journey. The Professor recently discovered a kindred spirit blog, “Professional Wrestling in Florida”. 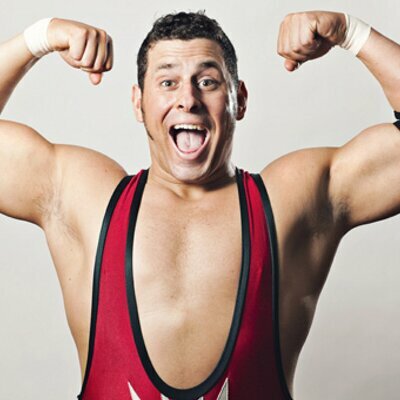 We repost this piece on Colt Cabana’s “Wrestling Road Diaries” with pleasure. Enjoy. Thanks so much, as you can tell I love reading your blog and you helped inspire us to write down our own thoughts in support of independent wrestling ! Great piece. The Professor listens to Colt Cabana’s podcast regularly but the WRD has not caught his attention until reading your review. Will now go out and seek it. We saw Mr. Cabana in Providence, RI last month at Beyond Wrestling. He’s a great showman and has blazed a trail of career viability for hundreds of amazing talents who are prospering in spite of the whims of the Walmart of Wrestling. Thanks. Tell us what you think of WRD, Professor! We ended up giving them a gift to a few wrestling lovers : ) Thanks for your blog site and all of your wonderful write ups of the independent scene. It makes me miss New England, which is where I started off in life. Previous Previous post: WRESTLING 101: Should Body Type Matter in Professional Wrestling? Next Next post: SPOTLIGHTS: NXT – What is it Anyway?